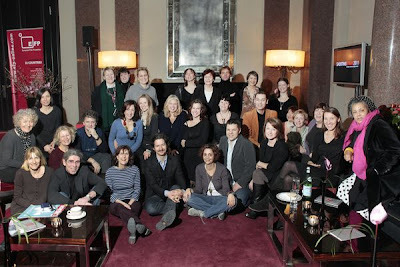 Just stumbled across the video of this year’s Shooting Stars casting breakfast, hosted by European Film Promotion at the Hotel de Rome during the Berlin Film Festival. Lana and fellow members of the International Casting Directors Network (ICDN) met with ten of Europe’s top up-and-coming actors over coffee as part of the weekend-long event. The ICDN has over 40 members from 18 different countries and is the first international network of its kind. Lana was inducted into the organization in 2008. PS: Catch a glimpse of Lana’s former boss, London casting director Jeremy Zimmermann at 0:36. They had a surprise reunion at this year’s Shooting Stars!